Luminess Air and Youngblood mascara are Press Samples. All opinions are my own. I love having fun with makeup, and I have to tell you, this was probably the most fun I've had in a while. 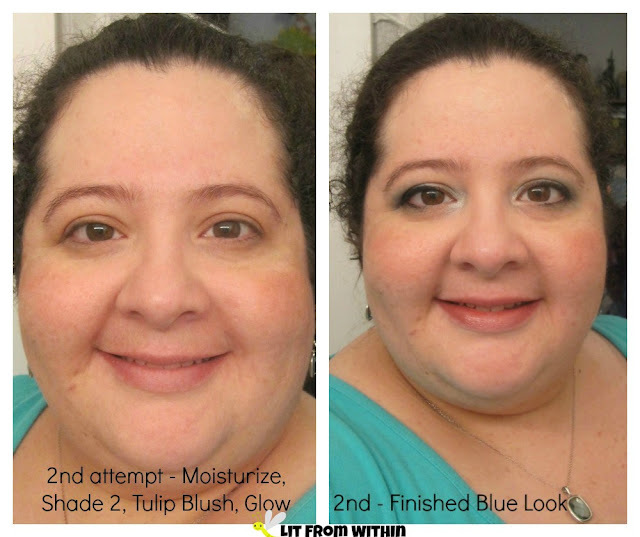 I was so excited to try my first airbrush makeup application, and blue colors are some of my favorite funky fun colors to wear. I want to start off by showing you the Luminess Air Brush system. 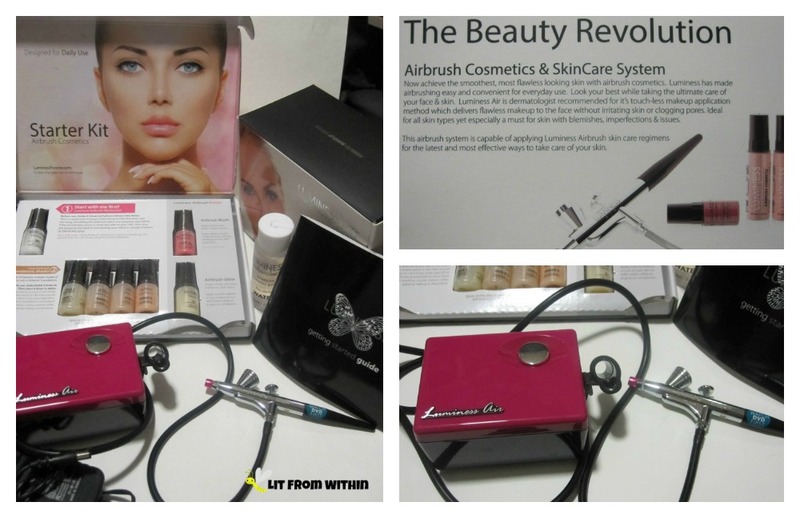 I'm not a makeup artist, and I thought that only real makeup artists would ever need or use an airbrush system. Boy, was I wrong. This thing was so easy to use. It comes with a DVD, and I also watched a few YouTube videos to see if there were any tips and tricks to using it. Here's my best advice: Keep the wand moving, and keep it clean. The starter kit comes with the airbrush machine and applicator gun, 4 shades of foundation, a primer, blush, and glow, as well as a bottle used for water, instructions, and a DVD. The moisturizer/primer has no color, and a satin finish. The glow and blush are very pigmented, so start with only 1-2 drops and apply lightly, with the wand constantly moving in the targeted areas. 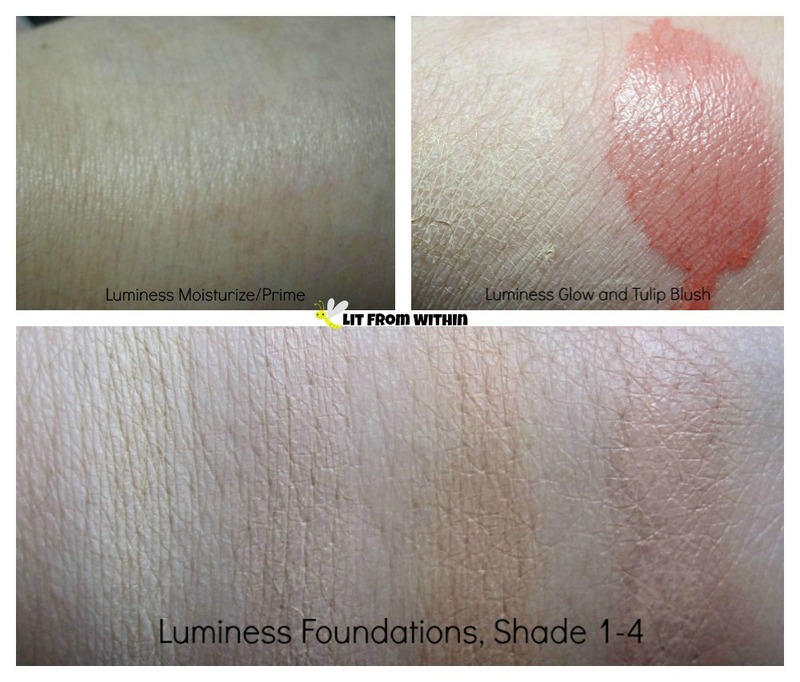 The foundations range in this starter kit ranged from light to medium. 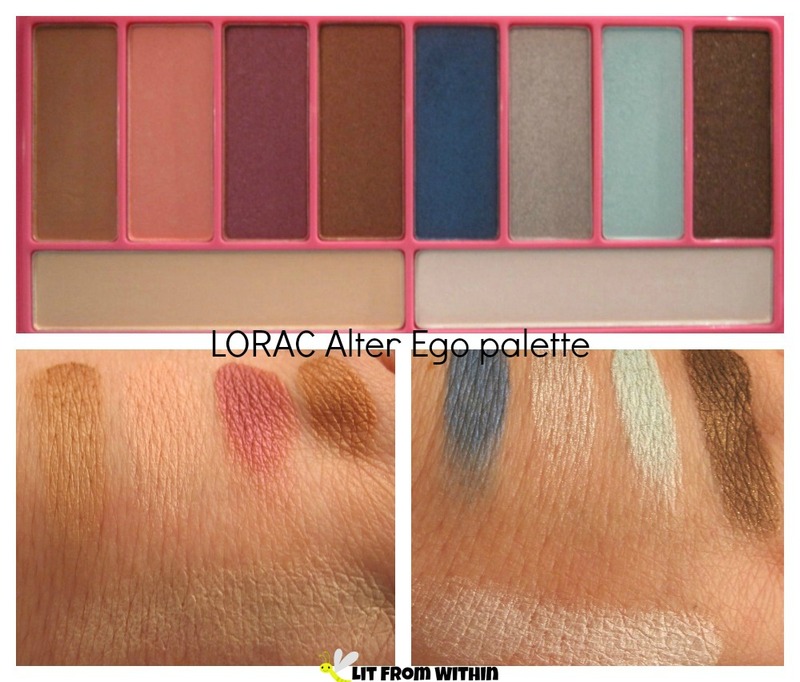 The odd numbers have a neutral or warm undertone, and the even numbers have a pink undertone. They are easily mixed and matched, and airbrush foundations are much more forgiving with color than regular foundations. They have 4 different finishes - Ultra (the one I tested, which is an illuminating finish), Matte, Silk (dewy), and Satin - and they have 12 colors in each finish. My first time applying the makeup! I saw one reviewer talk about using the blush 2 ways, so I tried to mimic it - for a more 'lit-from-within' look, try applying the blush under the foundation (like I did on my cheek on your left.) For a regular flush, apply it on top (like I did on my cheek on your right.) I need a little more practice with the blush, because it is so very pigmented. I think I got a better, more natural application using it on top of the foundation. Word to the wise: when applying the Glow, it's hard to see where it's going, and how much is applied at first. I went a little overboard, and used it everywhere. I'm going to call it strobing and pretend that I meant for it to look a little ghostly. My second time, I decided to finish makeup with blues. If I want a confident, bold look, I usually reach for blues - maybe because they are the unexpected choice for brown eyes, or maybe because there seem to be more rules for wearing blue - too 1960s, too retro, etc - and I don't really care for silly rules much. I used the cool blue shades from the LORAC Alter Ego Heartbreaker palette for this look. Can we just take a moment to admire some of the metallics in this palette? The navy blue is gorgeous, and the brown is, too. But that purple with pink shimmer? Be still my heart. I thought that with the airbrush foundation, that would be enough 'primer' on my lids, but I was mistaken. Holy silver fallout, Batman! 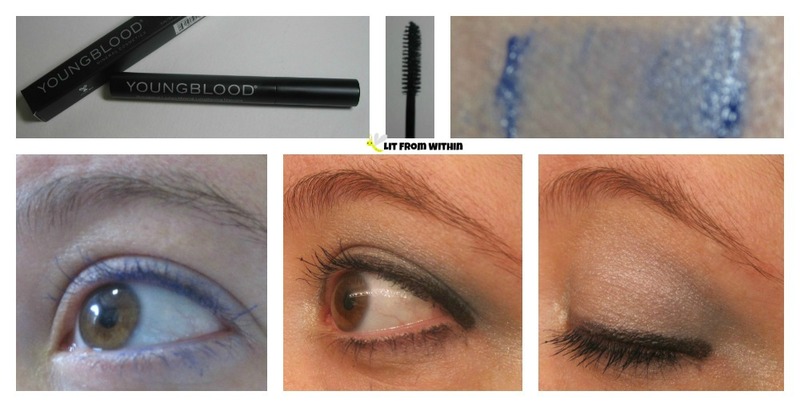 Another blue product I had fun using with this makeup look is the Cobalt mascara from Youngblood Mineral Cosmetics. This is a new brand to me, but I'm so glad I got to try it! The mascara is part of their new Holiday 2015 collection. It's soft, actually conditions your lashes, and is lengthening - a 'my lashes but better' kind of look - and in blue! The brush is very full and soft. I was a little exuberant in application and gave myself a blue eyeliner look the first time I applied it. I actually liked it, though, especially as a quick addition to a makeup-free face. And it wears like IRON. I had blue 'eyeliner' on even into the next day! 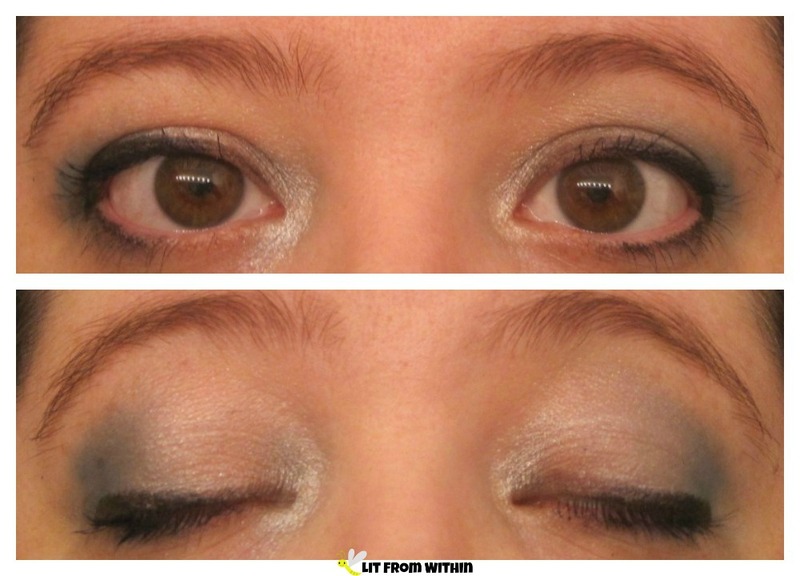 When I wore it alone, with no other makeup on my eyes, you can see that it looks gorgeously blue, even on my dark lashes. Pairing it with other blue makeup seems to make it look darker. I need to play around with better color combinations to make the most of the blue. 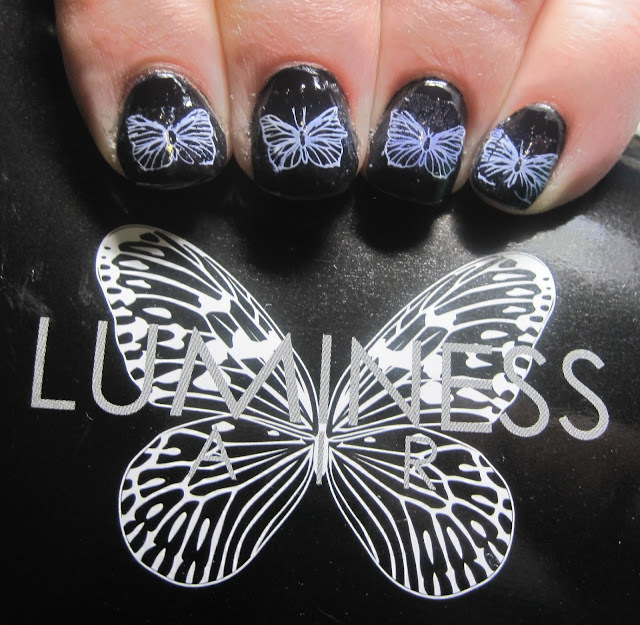 The base color is Finger Paints Patent Leather Black, and I made white butterfly decals with Finger Paints Paper Mache and stamping plate UC 3-01. If you're interested in more information, or to order your own airbrush system from Luminess Air, you can find them on their website, Facebook, Twitter, YouTube, and Pinterest. They have systems that start at $160, or check out their trial offer with payment plan. But wait, there's more! For 20% off, use the discount code: 744487330 ! Youngblood Mineral Cosmetics was developed by a medical aesthetician, to give those with damaged skin a natural makeup option. You can find more information on their full line of makeup on their website, Facebook, Twitter, Instagram, YouTube, and Pinterest. What do you reach for when you want to have a little fun with your makeup?